We have selected the top weekly Shaw’s deals for this list. The very best deals are marked with a yellow Star. This list does not include all of the sale items from the Shaw’s flyer. If you would like to see the full flyer, visit SHAWS.COM. Shaw’s doubles coupons up to $0.99. Limit of 4 like coupons. We have selected the top weekly Shaw’s deals for this list. The very best deals are marked with a yellow Star. This list does not include all of the sale items from the Shaw’s flyer. If you would like to see the full flyer, visit SHAWS.COM starting Thursday 3/23. Shaw’s Top Deals 3/17 – 3/23 | FREE Bush’s Hummus Made Easy, FREE Maruchan Bowls, $0.79 Minute Rice, and More!!! We have selected the top weekly Shaw’s deals for this list. This list does not include all of the sale items from the Shaw’s flyer. If you would like to see the full flyer, visit SHAWS.COM. Shaw’s Top Deals 3/10 – 3/16 | St. Patty’s Specials, $0.88 Cabot Cheese, $1.24 Oreo Cookies, $0.79 Halls Cough Drops, and More!!! We have selected the top weekly Shaw’s deals for this list. The very best deals are marked with a yellow Star. This list does not include all of the sale items from the Shaw’s flyer. If you would like to see the full flyer, visit SHAWS.COM starting Thursday 3/9. 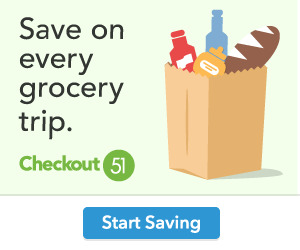 Shaw’s Top Deals 3/3 – 3/9 | FREE Horizon Mac & Cheese, FREE Bush’s Beans, $0.29 Progresso Beans, $0.69/doz Eggs, and More!!! NEW!!! Find out where it's on sale and which coupons to use for a wicked good deal!